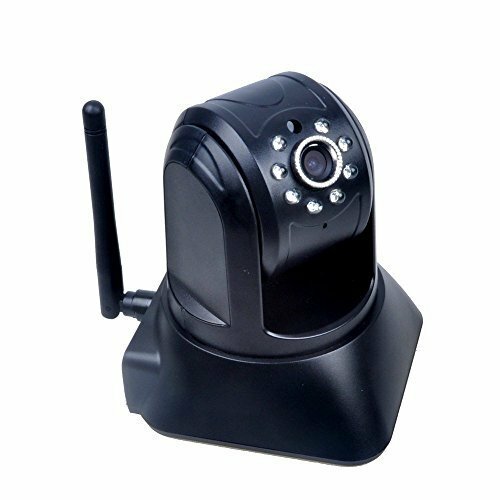 Features: IR auto cut, genuine color, Stream HD video to your PC (Windows), iPhone, Android, or Tablet H.264 video compression, smaller file sizes No port fowarding, easy access Easy USE APP, IOS/android app Night vision ability Network interface RJ45 10/100MB self-adaptable Ethernet slot IP mode:Dynamic IP address, static IP address Online visitor:Support 5(MAX) visiter at same time Video Compression format:H.264 Image sensor:CMOS 1000,000 pixel Lens:3.6mm Resolution:Triple stream :(1280 x 720) (640 x 360) (320 x 180) Image adjustment:Brightness, contrast, saturation, hue LUX:0.4LUX/F2.0 SNR >48dB,PTZ Rotation angle:Horizontal:355°, vertical: 90° Night-vision : 10PCS LED lights, IR distance:10m Alarm Alarm detection:Motion detection Alarm notification:Email snapshot notification, FTP snapshot upload,event record to TF card Package Included: 1 x PYRUS IP Network Camera 1 x Adapter 1 x User Manual 1 x Bracket Kind Notice: 1.EPYRUS store is the only legal owner of PYRUS. EPYRUS takes full responsibility of all the PYRUS products. 2.Please kindly check the name of seller store in case of buying counterfeit and fake products.